Valentine's day is just over a week away. Can you believe we're already that far into 2015? I can't! Last week I had some washi tape on my desk that I knew was destined for a project. Ideas for the project have been building up so when the power went out yesterday, I took some time to work on those ideas and came up with these cute Valentine's cards. I think the results are really fun and super cute. Instead of writing up a confusing tutorial, I recorded a (fairly) short video of the process to make the cards. 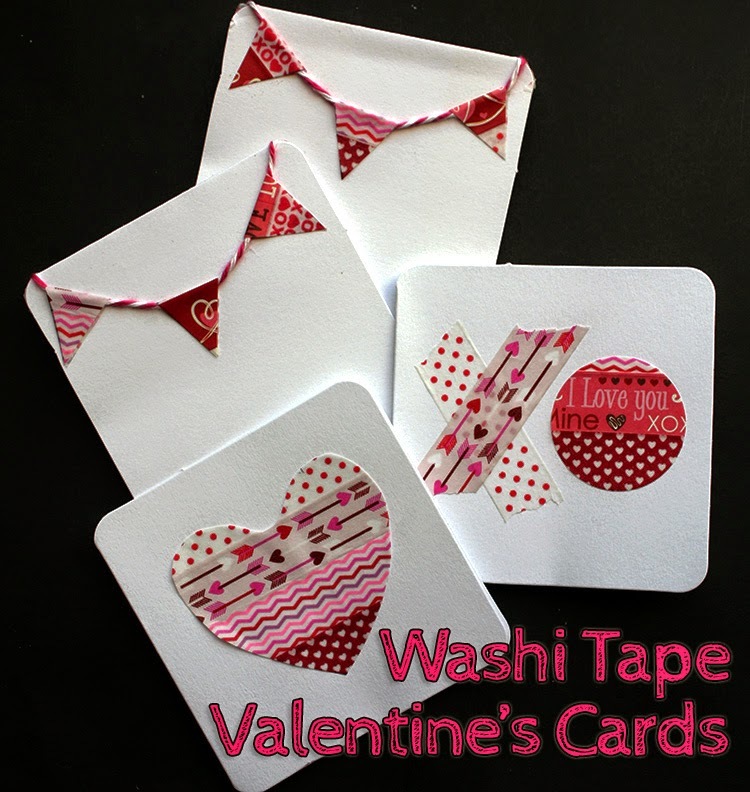 Many of the supplies were inexpensive purchases from the dollar store (including some of the washi tape) so they can be made without much cost. 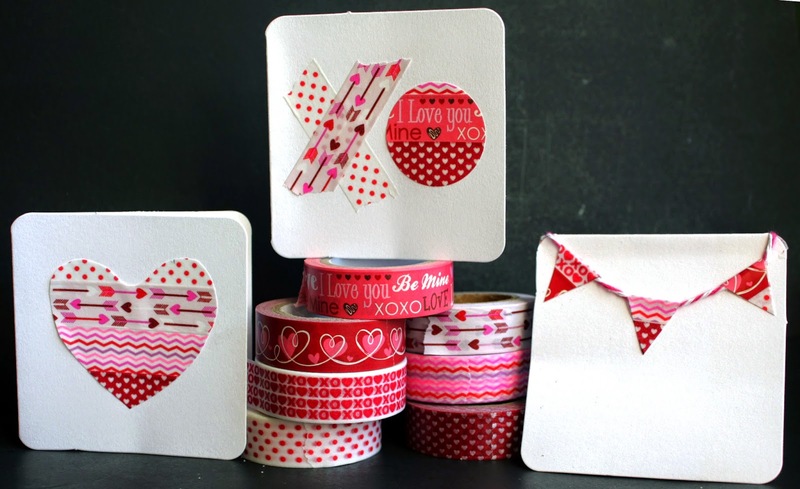 Since this is a quick project, you should have plenty of time to make these cards before V-day. I'm pretty smitten with them myself. What do you think? Great cards, Hope. 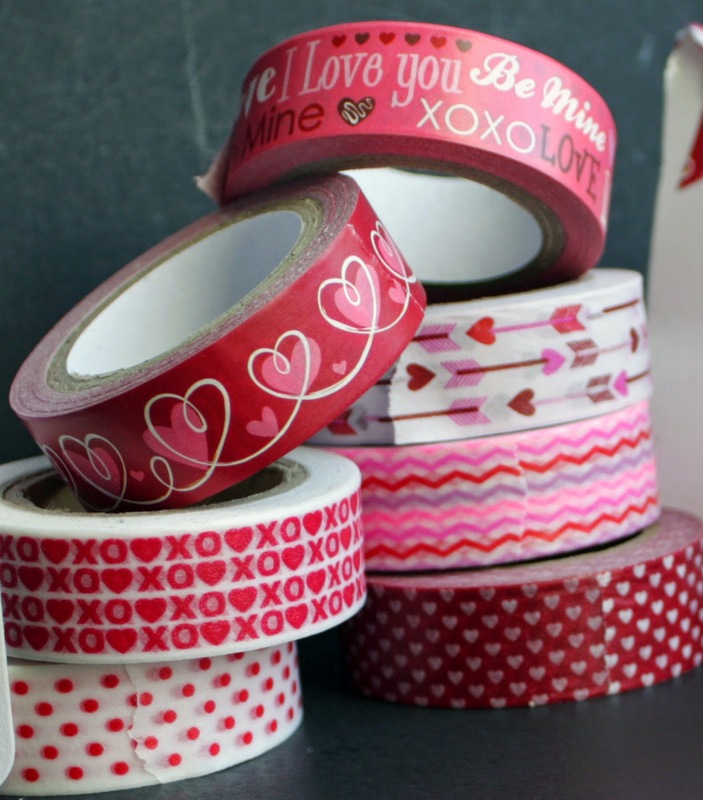 I have never worked with washi tape before...I know, can you believe it? Just one of those materials I never picked up to try. Really didn't know what to do with it, and now I do! Thanks for sharing. Jill, videos are so much fun, despite my "um"s! I knew last year I wanted to start doing more so I asked for a video camera for Christmas. I've been recording like crazy since then. I like that you can just do the activity rather than having to stop and take a picture (though having some pictures does help in the process from time to time). Right now I'm just waiting for Pat to build me an apparatus to get a better angle of my workspace. Soon, soon I hope. These are super cute Hope. 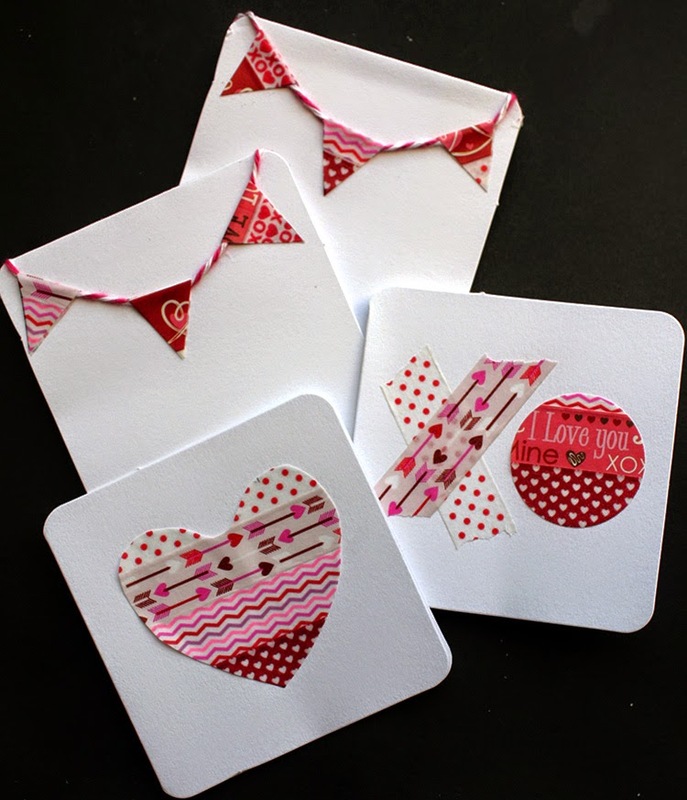 I think you are so very creative and the cards are cute and will bring a smile to the receiver. These are adorable Hope. I hope you got your power back! These are adorable!!! I love the little banner. So cute. DOn't you just love the Dollar Tree for some of your craft supplies?? Among other things!! ?